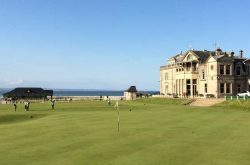 It is surely every golfer’s dream to play the legendary Old Course at St Andrews Links, however there is so much more to St Andrews than just the Old Course. There are many other fantastic courses in and around the town such as Carnoustie and Kingsbarns. Below you will find some sample tours we offer in and around St Andrews. 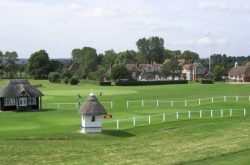 These tours can be booked as they are however we would recommend you contact us for a customised golf tour quotation and we can provide a proposal to suit you and your groups exact requirements. 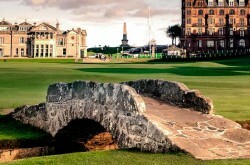 From £4150 GBP Per Person *Prices shown are based on 4 golfers / twin shared rooms / Edinburgh Airport arrival & departures. Day 7: Check out of your hotel. Private Transfer to your departure airport. 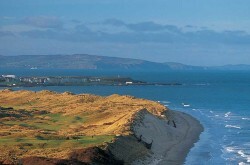 From £3175 GBP Per Person *Prices shown are based on 4 golfers / twin shared rooms / Edinburgh Airport arrival & departures. Day 6: Check out of your hotel. Private Transfer to your departure airport. 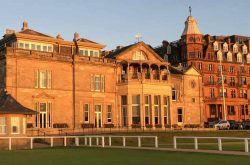 A Week at "The Home of Golf"
From £3710 GBP Per Person *Prices shown are based on 4 golfers / twin shared rooms / Edinburgh Airport arrival & departures. Day 8: Check out of your hotel. Private Transfer to your departure airport.